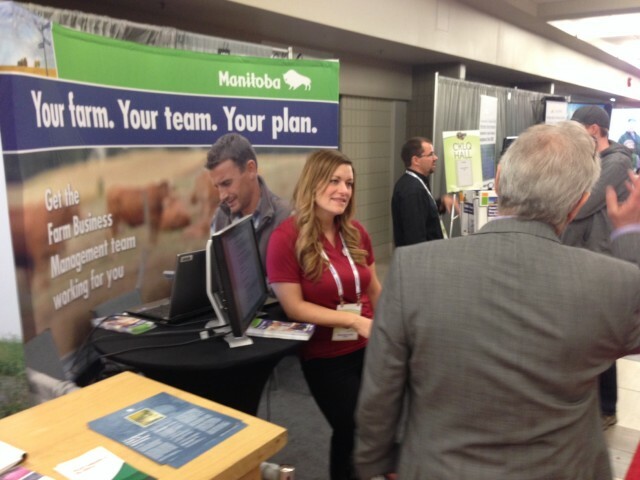 At the MAFRD booth, Rhonda Linde talks about transitions or succession from the parents to young farmers. In a MNP theatre, Mike Raines of the Western Producer, polls the room of about 80 people and 3 people say they have a plan for continuity. Mike claims the numbers of farmers without a transition plan is no different than the business owners in town, and claim this low take up has not changed for decades. RDI is helping the Southwestern Regional Development Corp. (SRDC) to get more plans in place. What is needed is a multi year multi stakeholder approach that aims to enhance attitudes to take action and put their plan in place.